The Metropolitan Police is now refusing to release full lists of murder victims under the Freedom of Information Act – making it more difficult to check their figures. Previously requests along these lines have been successful, such as the data featured in the Guardian article ‘Five years of London murders listed‘ and on our blog The Met’s Five Year List of Murders. The nationalities with less than five victims are: US, Cyprus, Russia, Spain, Nigeria, Latvia, Turkey, Jamaica, China, Australia, Pakistan, Ghana, Albania, Sri Lanka, New Zealand, Kosovo, Rwanda, Hungary, India, Portugal, Italy, Bangladesh, Kenya, Algeria, Iran, Fiji, Ireland, South Africa, Bulgaria, Columbia, Vietnam. Disclosure of the names of the victims, would be likely to cause distress to their families, as there would be no reasonable expectation that the MPS would release this information without the consent of the family. We understand and accept the third objection, but continue to believe that the public interest is in the identity of all homicide victims being in the public domain rather than kept secret for whatever reason. Sometimes the justice system fails the family of murder victims. Five years ago Nattallie Correa, 27, was found battered to death after a fire at her flat in Dagenham. Her boyfriend, who escaped the blaze with her two youngest children, was charged but acquitted after a retrial at the Old Bailey. Nattallie’s family are now left in limbo. The worst thing is the murderer is walking free right now due to the justice system. It is a disgrace and the pain my family are still going through is never going to leave us, because it is like the justice system has given up on the whole case, when really someone from outside the case should look over everything properly because my sister is too special to get forgotten about. My sister’s case is listed as unsolved. So what does that mean that she murdered herself and set herself on fire? Please if anything at all could be re-looked in to or could be done please we will be so grateful or please let me know if I could do anything by myself to get my sister’s case open again. I need help I can’t forget what has happened and I will never give up on my sister’s memory. Mellissa still remembers the day that she was told about her sister’s death. wrong here I tell you. That afternoon the police came and informed us that my sister was murdered the family were distraught even more. Hopefully my sister’s case will get looked at carefully and thoroughly like it should have been in the first place. Anyone with new information should contact Crimestoppers on 0800 555 111. An article in The Times newspaper last week (Three deaths in a weekend sends murder rate soaring) highlighted the increase in London homicides so far this year. In January and February 2015 we counted 26 homicides compared to 12 across January and February 2015. So does this suggest a new trend or is it just an unusual spike? A look at the Metropolitan Police’s rolling 12 month homicide figures suggests the last two years (up to January 2015) both saw 104 homicides, suggesting this is just a spike after a very quiet summer and autumn of 2014. It should also be noted that we counted 12 homicides in March 2014 (equal to both January and February 2014 combined). As of today (14 March 2015) we only know of two homicides this month. We will keep an eye on the statistics over the coming months and return to this subject in a later blog. UPDATE on 4 April: We counted six homicides in March 2015, bringing the total to 32 this year, compared to 24 over the first three months of 2014. Last month the Metropolitan Police released data on the number of homicides between 2003 and 2013 under the Freedom of Information Act. The data also reveals the number of homicides classed as ‘detected’ and ‘undetected’. Sanction Detections refer to ‘police generated detections’ where the accused receives a punishment or sanction (charge, caution, summons) from the police. Non-Sanction detections (Other) are used for cases resolved through administrative means, such as when the accused dies or the CPS decide not to prosecute. The percentage of undetected homicides during this period range between six per cent (2009 and 2011) to 14 per cent (2007). The nationalities of murder victims in 2013 (28 UK Nationals, 29 Overseas Nationals, 37 not recorded). The Metropolitan Police official homicide list gives a total of 92 homicides for 2014 (for financial year see also http://www.met.police.uk/crimefigures/). This figure, which includes murders, manslaughters, corporate manslaughters and infanticides, is a 15 per cent decrease on the previous year, 2013, with 109. We have added 85 cases to the website for 2014 and are awaiting further updates on several others which have not been confirmed publicly as homicides (rather than suspicious or unexplained deaths). This post and the graphics shown below will be updated as more information arrives. Updates will be listed at the end. Looking at the confirmed cases for 2014 and comparing them to previous years, we can see that the number of shootings has reached a new low, while fatal knife attacks have increased. The number of female victims also decreased to 22 (from 39 of 108 in 2013). The number of teenage victims remains relatively low at eleven, compared to 12 in 2013. Now here is the spread of victim ages for each year from 2011 to 2014. This shows that while most victims are aged between 21 and 30, the number of victims in this age range has almost halved during this period. NOTE: This post was updated on 1 February 2015 to include the manslaughter of Tommy Main (previously classed as unexplained death) and on 14 February to include the manslaughter of William Boots (following the charging of the suspect). In May 2015 the manslaughter of Adam Hird was added after suspects were charged. 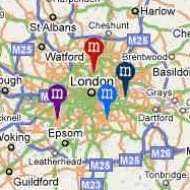 Three murders in London during 2014 remain unsolved. Can you help? 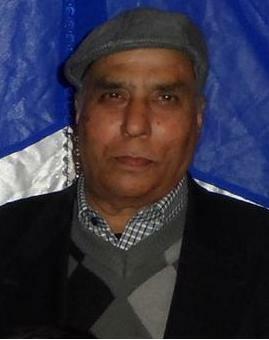 Mashboor Hussain, 73, collapsed and died during a suspected burglary at his home in Tooting on 11 February 2014. Two men were charged but the case was dropped due to lack of evidence. Floarea Nicolae, 20, was stabbed to death in Edmonton, north London, on 1 June 2014. A suspect was charged but denied involvement and was acquitted after trial. Radio DJ Luke Jackson, 33, was stabbed to death at his mother’s flat in Pimlico on 19 December 2014. Two suspects were arrested and released on bail. The death of Zbigniew Michniewicz in December 2013 was originally treated as a murder after a postmortem revealed evidence of an assault. Five suspects were arrested on suspicion of murder but nobody was ever charged with causing the death and a medical expert concluded that that the death was caused by drug abuse rather than the injuries to his head. In June 2014 three men were jailed for plotting to conceal the death of Zbigniew Michniewicz by digging a grave in the back garden of the squat where they all lived in Greenford. As a result of the medical conclusion in this case we have decided to delete this case from the database. The body of Zbigniew Michniewicz, 36, was found at a squat in Greenford, west London, on 5 December 2013. When police called at 251 Greenford Road at around 12.35pm they found a 5ft deep grave had been prepared in the back garden. Mr Michniewicz was pronounced dead at the scene and an initial postmortem revealed the cause of death was a head injury, including fractures to his eye-socket, cheekbone and jaw. Detectives said they believed he died a few days after being assaulted at the house on 13 November 2013. However a pathologist later concluded that Mr Michniewicz died of drug abuse rather than the assault injuries. Four men aged 20, 20, 40 and 46, and a 17 year-old woman were arrested on suspicion of murder during the investigation. On 7 March 2014 Grzegorz Roznerski, 40 (17/11/73), of The Crescent, Slough, pleaded guilty to conspiring to prevent the lawful and decent burial of a dead body. On 5 June 2014 Arkadiusz Majchrazak, 45 [28/5/68], no fixed abode, and Piotr Juszczak, 20 [13/03/93], of Greenford Road, Greenford, were convicted of conspiring to prevent the lawful and decent burial of a dead body after a trial at Isleworth Crown Court. On 9 June Majchrazak was jailed for nine years, Juszczak was jailed for two years and nine months and Roznerski was jailed for two years and three months. Jae’don Fearon was ten years old when his father was shot dead. He was asleep in bed that night in April 2003 when gunmen opened fire on an Audi TT driving away from a nightclub in Clerkenwell, east London. The front passenger, 26 year-old father-of-two Jason Fearon, was found slumped in his seat with a single bullet wound to the head. The case remains unsolved but detectives believe that he was the unintended victim of a gangland shooting. At the funeral Jae’don Fearon gave a speech – which was filmed and shown on TV – vowing that his father’s death had made him more determined to become a professional footballer and a father figure for his younger sister. The speech was used in an anti-crime video and Jae’don became a spokesperson for the Mothers Against Guns group. He was awarded a Woman’s Own Children of Courage award and met Tony Blair and Prince Charles and was still campaigning against gun crime in 2006, aged 13. Tragically Jae’don failed to uphold the vow he made as a young boy to stay out of trouble. In 2011, aged 18, he found himself driving around in a car with Rory Gordon, a 20 year who made a living dealing cannabis and stealing luxury cars to order for criminals. The plan was for Gordon to take the car from its owner, by force if necessary, while Fearon sat in the getaway vehicle. Once Gordon had seized the vehicle, Fearon would follow him to the edge of Epping Forest where the car was to be left for collection. Their payment for carrying out the carjacking was to be £1,000. It was the misfortune of 32 year-old businessman Harjinder Singh Bhurji to be driving the car they wanted, a black Mercedes SLK. While Fearon waited nearby, Gordon confronted Mr Bhurji and demanded the keys. When Mr Bhurji insisted he did not have them, Gordon stabbed him in the chest. The injury proved fatal and Mr Bhurji bled to death at the side of the road in Ilford, east London, as Gordon drove away in the Mercedes. The police investigation quickly identified Gordon and Jae’don Fearon as the suspects but it was not until July 2013 that they had gathered enough evidence to charge the pair with murder. In April 2014 – eleven years after his father was murdered – Jae’don was convicted of the lesser charge of manslaughter by the jury, reflecting his role as the ‘backup’ rather than the killer. Jae’don was jailed for 13 years. The legal doctrine of Joint Enterprise remains controversial in murder cases because of the stakes involved. For the families of victims, it is a law that helps to bring to justice all those who took part in a gang attack and not just the person who inflicted the fatal injury. The law is not always simple and depends on the individual case (see the CPS guidance on the subject). The most common example used to explain joint enterprise to jury involves a robbery. Under joint enterprise the lookout and the getaway driver are just as guilty as the robber. This makes sense, as they knew what the plan was and the robbery would not be as successful without them. In murder cases, joint enterprise is used when the prosecution claim that a suspect took part knowing or foresaw that really serious harm might be inflicted. So if a group attack the victim but only one of them uses a knife to inflict fatal injuries, the jury has to decide whether the others knew that principal suspect was armed with a knife and foresaw that he might use it to inflict really serious harm. Two weeks ago this issue was highlighted by a report by The Bureau of Investigative Journalism, prompting renewed calls for reform of the law (just as there were in 2012). To illustrate joint enterprise in murder cases in London we looked at a single year, 2012, when it was used in at least nineteen of the 99 cases (just under 20 per cent). There are also several examples of only one person being charged even though the murder took place against the background of gang or group violence. Two of them are the case of Thomas Overton, who was stabbed to death in Leyton in August 2012 and Liam Woodards, who was stabbed to death in Stratford in June 2012. So it is clear that juries are capable of rejecting prosecutions based on joint enterprise. Does that mean the system is working well or is there still need for reform to remove the risk of injustice? 1 January – Aaron McKoy, 22, was shot dead in Clerkenwell after a mass brawl broke out at a bar. The gunman and five other men alleged to be part of the gang violence were charged with murder. Only the gunman was convicted of murder. 1 February – Ali Armagan, 32, was shot dead in a gangland execution in Turnpike Lane. Five men were charged with murder although none were alleged to be the gunmen. All were cleared. 2 March – Kwame Ofosu-Asare, 17, was chased and stabbed to death in Brixton. Two men were charged with murder. Both were convicted. 16 April – Carole Waugh, 49, was stabbed to death at her home in Maida Vale. Two men who admitted defrauding the victim were charged with murder but only one was convicted. 18 April – David Petch, 55, died of a head injuries after being attacked in New Addington. A man and a woman were charged with murder as it was the prosecution case that both took part in the fatal attack. The woman was acquitted and the man was convicted only of manslaughter. 19 May – Luke Fitzpatrick, 25, was stabbed to death in Dollis Hill. Three men were charged with murder. Two of them (one was said to have inflicted the fatal injury and another was linked by DNA to a knife found at the scene) were convicted by the jury. The third was acquitted of murder but convicted of manslaughter. 28 May – Luke Harwood, 28, was battered to death in Woodford Green. Four men and a woman were charged with murder. The charge against one man was dropped before trial. The jury convicted the woman and two men of murder and acquitted the third man. 8 June – Prabjot Singh Rayat, 54, was stabbed to death in a robbery in Thamesmead. Two men and a woman were charged with murder. Only one of the suspects inflicted the fatal injury. The two men were convicted of murder while the woman was convicted only of robbery. 15 July – Umar Tufail, 25, was shot dead in a drive-by attack in South Norwood. Two men were charged with murder. One suspect blamed the other for the shooting and claimed he had no knowledge of what was to happen. Both were convicted. 1 August – Nathaniel Brown, 16, was stabbed to death at a party in Downham. Three teenagers were charged with murder. One admitted inflicting the fatal injuries in self defence. The other two were present and fled the scene with the first man. The jury cleared all three of murder. 21 August – Hanad Osman, 24, was stabbed to death in Streatham. Two men were charged with murder. CCTV captured one man stabbing the victim and the prosecution claimed the second bought the knives beforehand and provided a safe house. The jury convicted only the first man. 13 September – Arron Payne, 36, was fatally stabbed in the stomach and thigh in Wembley. Although only one man inflicted the fatal wounds, five men were charged with murder as it was alleged to be a planned revenge attack. The jury convicted only the knife wielder of murder. 27 September – Junior Nkwelle, 15, was stabbed to death in Brixton. Two youths were charged, the boy who inflicted the wounds and the girl accused of encouraging or inciting him to carry out the attack. The jury cleared both of murder but convicted them of manslaughter. 25 October – Jamie Sanderson, 20, was stabbed to death at a nightclub in Kingston. Four men were charged with murder. Two men were convicted, the man who inflicted the stab wounds and the man who handed him the knife. 3 November – Thomas Cudjoe, 29, was stabbed to death in Ilford. Five men were charged with murder, although only one caused the fatal stab wounds. All five were convicted. 10 November – Thierry Gnanakumar, 22, was beaten to death in a suspected gang attack in Lewisham. Eight men were charged with murder but only one was convicted. 19 November – Marcus Innocent, 35, was shot dead with a shotgun after being confronted by a group of up to 20 people. Twelve men were charged with murder although only one fired the fatal shot. The trial is due to take place in June. 20 November – Paula Castle, 85, died after being pushed to the ground by two teenage muggers. Two boys were charged with murder but the prosecution accepted pleas to the charge of manslaughter, accepting that they did not intend to cause really serious harm. 30 December – Darryl McClymont, 23, was stabbed in the heart outside his home in Isleworth. Four men were charged with murder but only two were convicted of the lesser offence of manslaughter.